(SALT LAKE CITY) – The first Zika virus-related death in the continental U.S. occurred in June of this year, but even now, months later, two aspects of this case continue to puzzle health experts. First, why did this patient die? It is quite rare for a Zika infection to cause severe illness in adults, much less death. Second, how did another individual, who visited the first while in the hospital, become ill from Zika? This second patient did not do anything that was known at the time to put people at risk for contracting the virus. Researchers at the University of Utah School of Medicine and ARUP Laboratories in Salt Lake City begin to unravel the mystery in a correspondence published online on Sept. 28 in The New England Journal of Medicine (NEJM). Details from the case points to an unusually high concentration of virus in the first patient’s blood as being responsible for his death. The phenomenon may also explain how the second patient may have contracted the virus by casual contact with the primary patient, possibly by touching his sweat and tears, the first such documented case. From the letter in NEJM, a story unfolds. Last May, Patient 1, a 73-year-old man, traveled to southwest Mexico, a Zika-infected area. Eight days after returning, he started having abdominal pain and fever, and by the time he was admitted to the University of Utah hospital he also had inflamed, watery eyes, low blood pressure and a rapid heart rate. Despite the medical staff’s best efforts to stabilize him, his condition declined rapidly. During this time, Patient 2 came to visit and reported wiping away Patient 1’s tears and helping to reposition him in the hospital bed. It wasn’t long before Patient 1 slipped into septic shock, and his kidneys, lungs and other organs started to shut down. He died shortly thereafter. Even though it’s well known that Zika can cause severe brain damage in unborn babies, symptoms are typically mild in adults. Only nine other Zika-related deaths have been reported worldwide, says Swaminathan. Despite the odds, tests performed after Patient 1’s death revealed that he had Zika. Patient 1 was initially identified as being potentially infected during validation of a real-time PCR test for Zika virus that is currently under development at ARUP Laboratories, and was subsequently confirmed as positive by both the Utah Department of Health and the Centers for Disease Control and Prevention. Further investigation using Taxonomer, a tool developed by scientists at University of Utah and ARUP Laboratories, that rapidly analyzes all genetic material from infectious agents in a patient’s sample, showed there were no other infections that explained his illness. 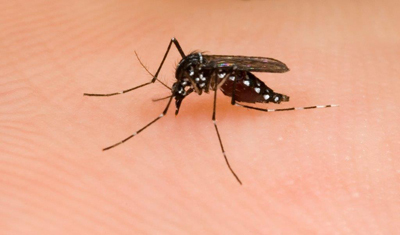 It also found that the Zika virus that infected the patient was 99.8 percent identical to that carried by a mosquito collected from southwest Mexico, the same region that Patient 1 had visited a few weeks prior. 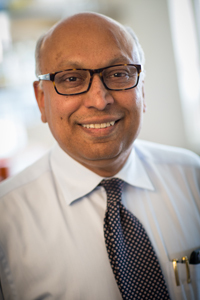 Seven days after Patient 1’s death, Patient 2 was meeting with Swaminathan to talk about what had happened when the doctor noticed that his visitor had red, watery eyes, a common Zika symptom. Tests confirmed his suspicion, but in contrast to Patient 1 this patient only had mild symptoms that resolved within the following week. Like Patient 1’s death, Patient 2’s diagnosis was unexpected. The species of mosquito that carries Zika had not been found in Utah and Patient 2 had not traveled to a Zika-infected area. A reconstruction of events ruled out other known means of catching the virus. An unprecedented transmission by casual contact between the two patients was found to be the most likely explanation. The authors believe that the reason behind the unusual nature of the case lies in yet another anomaly. Patient 1’s blood had a very high concentration of virus, at 200 million particles per milliliter. “I couldn’t believe it,” says Swaminathan. “The viral load was 100,000 times higher than what had been reported in other Zika cases, and was an unusually high amount for any infection.” The observation opens up the possibility that the extraordinary amount of virus overwhelmed the patient’s system, and made him extremely infectious. Still, what led to the unusually severe infection in the first place remains unknown. Was there something about Patient 1’s biology or health history that made him particularly susceptible? There were small differences in the virus’ genetic material compared to other samples of Zika virus, did they cause the virus to be exceptionally aggressive? The work was supported by the National Institutes of Health and published as “Fatal Virus Infection with Secondary Nonsexual Transmission” in the New England Journal of Medicine on Sept. 28.